I really enjoy listening to indie bands, and I’ve been noticing the use of more and more effects on the vocals. Effects I classically hear is heavy reverb. If this is part of the sound you’re going for, and you gig, you probably run into issues of sound guys either unwilling to provide you with the reverb, or the board itself can’t do it, or the ‘web signal’ is only to the mains and not in the monitors. As a vocalist/musician, it’s important to consistently hear your ‘sound’. Even if you’re not on the heavy to extreme side of things, the consistency AND the control is great to have. Pretty cool right? Vocalists might be interested in this guy for sure. Today, I found a deal on the TC Helicon Voice Tone Mic Mechanic Vocal Effects Pedal. This pedal lists for $205 and is usually available for $150, but is currently on sale at Amazon for only $125 and includes FREE shipping! At the time of this post, there were 15 units in stock. As usually, when stock count drops, the price may go up. So if you’re interested in this pedal, you better jump on it! 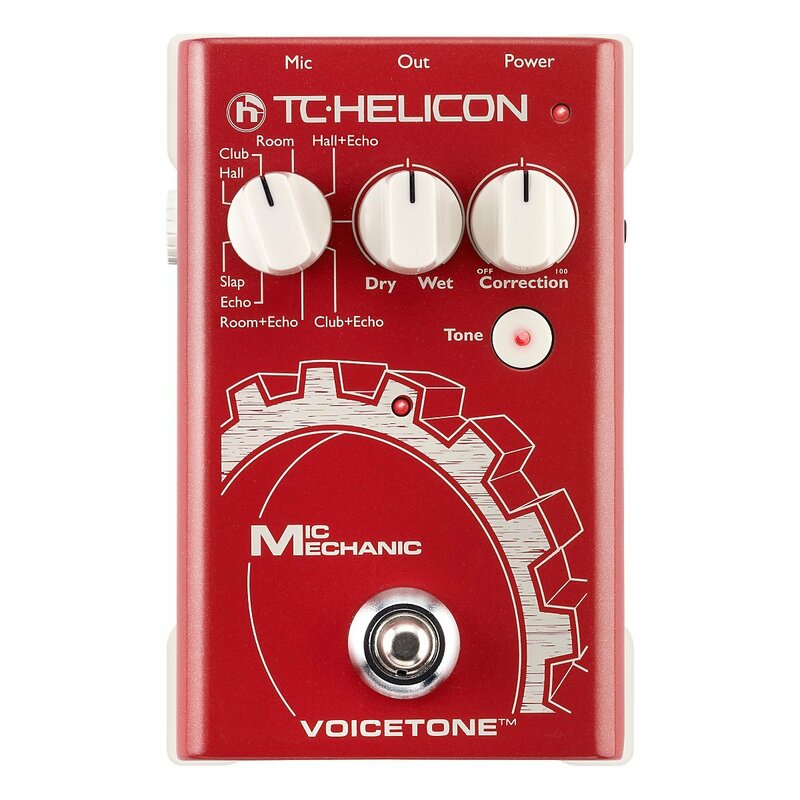 Do you have the TC Helicon Voice Tone Mic Mechanic Vocal Effects Pedal? Let us know what you think about it by commenting below! I have this pedal and it’s great… like you said, super simple. I use the slap echo setting and the “magical” tone button engaged and it gives me a great 50’s 60’s rockabilly retro vibe… clear and present. Best of all, you are in control of your sound… not a different sound man every gig. It also has a gain adjustment for low output mics. Sturdy and well designed. Pair it with a decent mic and you’re set. I wish it ran on battery power but hey, you can’t have everything. Im also in 50s style band and was interested in how you find the Rockabilly vocal using the MIC MECHANIC? ie does it sound authentic? does it work well in a “Live” setting?